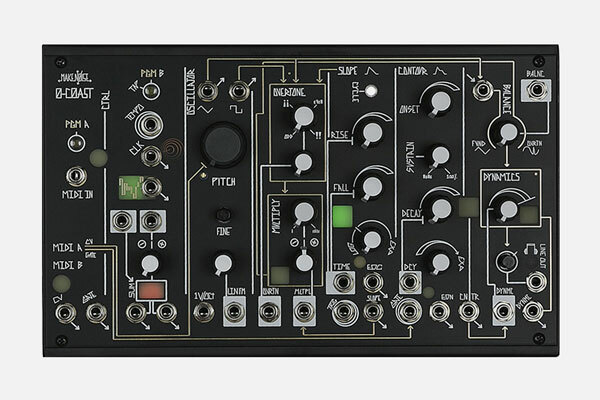 While the 0-COAST utilizes classic modular synthesis techniques, designed to operate with or without the use of patch cables. The necessary connections have been made from circuit to circuit so it operates as an expressive, musical MonoSynth. Using only the MIDI controller of your choice you could apply new timbres to your existing musical forms!